Qwaarn are a progressive rock band from Quebec formed in January 2004 by drummer Francois Bernatchez, and with a seemingly revolving-door membership. 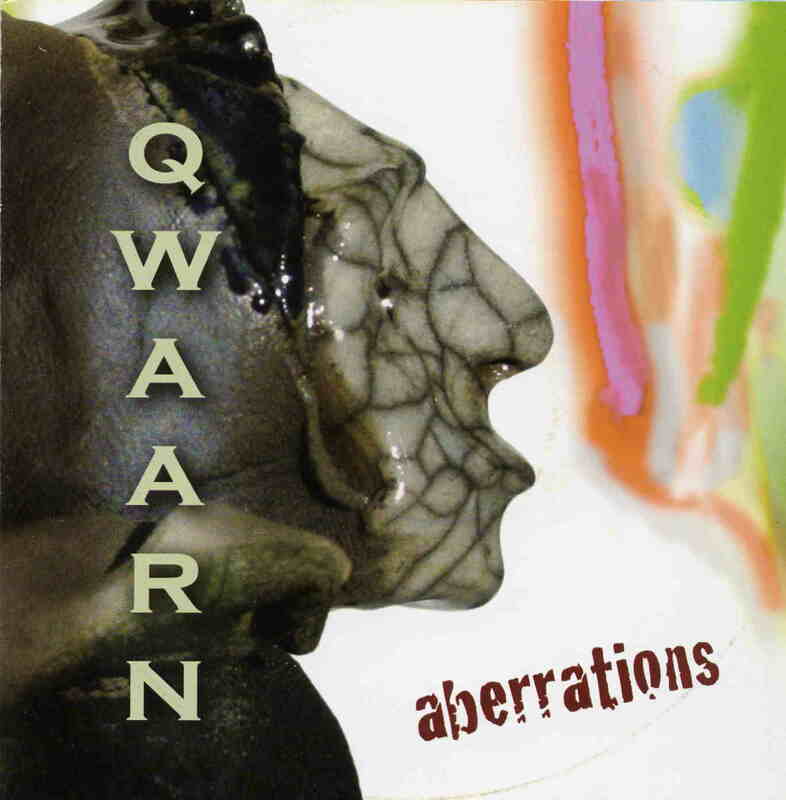 “Aberrations” is their second album, following up “The World Of Qwaarn” which appeared at the end of 2004. Both that album and the current offering revolve around the concept of Qwaarn, an alien being on an interplanetary voyage through space. On board spaceship Qwaarn for this trip are Martin Bleau and Francois’s brother Antoine (guitars), new vocalist Didier Berthuit, Guy Brindamour (bass) and Mathieu Chamberland (keyboards). “Abberations” presents itself in classic progressive rock opera format, featuring a ten track song cycle based on Qwaarn’s task of studying human society over the course of ten days, reporting to the Great Council at the end of this time. Each track is dedicated to one day of Qwaarn’s study, exploring different aspects of humanity, from “Mr Lotto” the problem gambler, to the yuppies of “The High Muckety-Mucks”. Alas, such a concept seems doomed to sink under its own weight, and this is the ultimate fate of “Abberations”. In “Dream In Am”, Qwaarn discovers what it is like to create music with a refrain telling us you can change the chords, change the drummer, but not the singer. Unfortunately it is the vocals of Berthuit and lyrics of Francois Bernatchez (ironically the drummer) that are one of the primary drawbacks to Qwaarn. The vocals are too loud, but not powerful enough to justify their place in the mix. Meanwhile the music is not memorable enough to stand on its own. The band’s website state that Qwaarn’s music takes its roots from the pop and rock of the ‘60’s and ‘70’s, citing influences of The Beatles, Pink Floyd, Bowie, Led Zeppelin, Tears For Fears and a touch of classical music. This writer struggled to catch many of these elements, and the music/concept appears to have more in common with American 1980’s progressive rock. Still, lovers of this kind of music might find appeal in Qwaarn’s musical journey. As their website states, “The emotions of the dramatic passages make this second album an artistic tapestry that is rich, singular, and unusual with lyrical and dramatic accents proving the only limits to creativity are those imposed upon it”. Nobody could fault such noble ambition, but Qwaarn seen unable to realise this on “Abberations“.